Has the 21st Century Church Lost Sight of the Heart of God and Lost Sight of His Mission? Following a brilliant student career at Cambridge, rejected several opportunities to go to the mission field. He prayed, “Here am I, Lord; send me to the ends of the earth, send me to the rough, the savage pagans of the wilderness; send me from all that is called comfort in earth; send me even to death itself if it be but in Thy service and in Thy kingdom.” – Donald Campbell, Nehemiah: Man in Charge, Victor Books, 1979, p. 13. The sentiment expressed by Henry develops as we study and learn of the heart of God. Our mission zeal, our desire to lay it all on the line for the sake of the gospel comes from our sending God. The church over time struggles to keep that missional zeal on the forefront of its daily activity. Mission gets lost in the structure. Mission gets lost in meetings. The Great Commission gets put on the back burner as the church fights over rites, rituals, and religion. How do we get back to the main thing, to the one thing which connects us to the heart of God? Maybe the answer is starting our missional movements with Christ, instead of starting the mission by gathering people together for worship. In the book I am reading on missional communities the opening statement for week 8 is formative. It reflects an image of God we sometimes forget but is crucial to understanding the church’s role in the world. “God Is missional. The mission dei is a Latin phrase that classically refers to God’s “mission” of “sending” – the Father sending the Son, and the Father and Son sending the Spirit. As a missional God, the Father, Son, and Spirit create and send a missional people and churches. What Happens when we get the order reversed? In the book, The Shaping of Things to Come, Michael Frost and Alan Hirsch deal with Bounded vs. Centered Sets. These brothers add further insightful to this discussion. “Our Christology informs our missiology, which in turn determines our ecclesiology. If we get this the wrong way around and allow our notions of the church to qualify our sense of purpose and mission, we can never be disciples of Jesus, and we will never be an authentic missional church. Churches that have got this basic formula wrong never really engage in mission and so lose touch with Jesus. These churches spend all their time discussing (or arguing) about the forms of worship, the church furniture, and the timing of services and programs, and fail to recognize that our ecclesiology flows more naturally out of our sense of mission. These churches become closed sets as a result, and their experience of Jesus at the center fades into a memory of the time when they were really doing something. It becomes a matter of history rather than an experience of mission now. It is important to recover the idea that the church connects with Jesus through mission, not through getting church meetings right! You may recognize your congregation in the paragraph above. 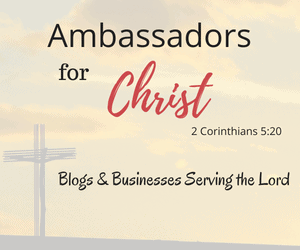 If you follow my blog you will get the chance to journey with me as we unpack ways to reconnect the church to the mission. We may disagree on the order, and even on the premise laid out but we can agree that we have a sending God. And if we have a sending God then shouldn’t we be a sending church? If are a sending church we need to prepare those we send to be ready to defend and proclaim the faith we hold so dear, to a world is like sheep without a shepherd. ← With Our Moral Divides Is Intergenerally Ministry Even Possible? I read the book “The Divine Commodity” by Skye Jethani right out of college and it really put the church’s loss of focus on the mission into perspective for me personally. Thank you for sharing your thoughts and I look forward to hearing more. Thank you for taking the time to comment. Have a blessed day.